RPF SI Final Merit List 2019: The Railway Police Force, RPF has released the Sub Inspector (SI) recruitment exam 2019 final merit list. 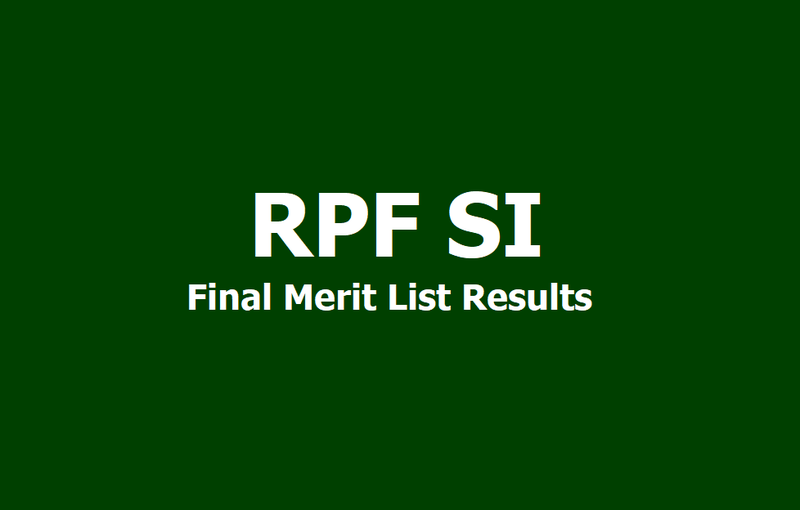 All the candidates who appeared for the RPF SI Exam 2019 can check the merit list on the official website, the link for which is si.rpfonlinereg.org. The entire recruitment process involved a Computer Based Test (CBT), Physical Efficiency Test (PET)and Physical Measurement Test (PMT). All the candidates who have made it to the merit list will now be called for medical examination. The RPF SI Final Merit List 2019 has been released for Group F RPSF (male candidates only). Further, a total of 60 candidates have successfully made it through in Group F posts. Step 6: Download it and take print out of the same for future use. 1. The empanelled candidates will be called for medical examination. The date and place for medical examination will be informed on their registered mobile number and email IDs. 4. The empanelled candidates may contact Control Room, 6th Battalion, RPSF, Dayabasti, Delhi on phone number for assistance. (P & T: 011-2365234,Mob: 9717636302).